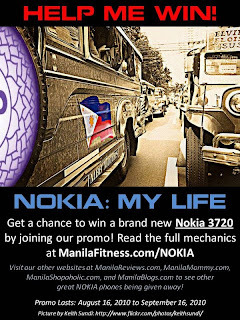 Luckyfinds: Manila Fitness is giving away a Nokia 3720! 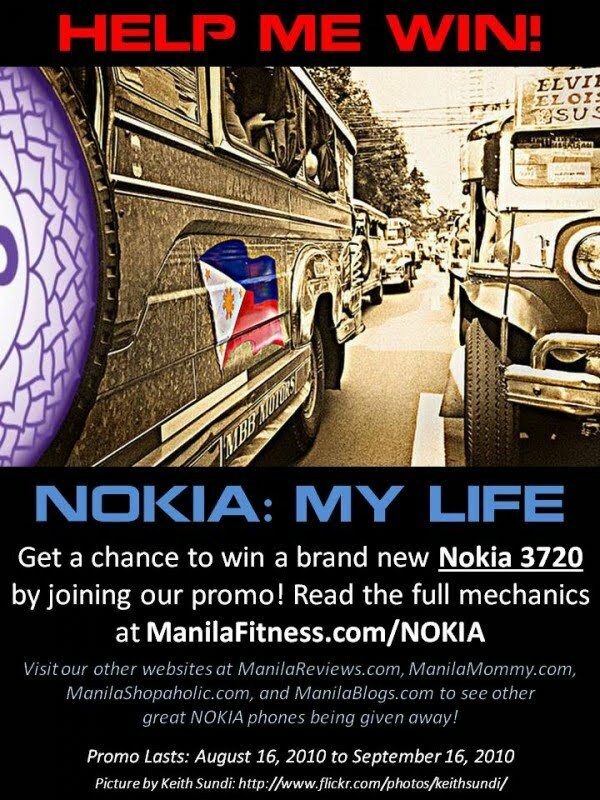 Manila Fitness is giving away a Nokia 3720! 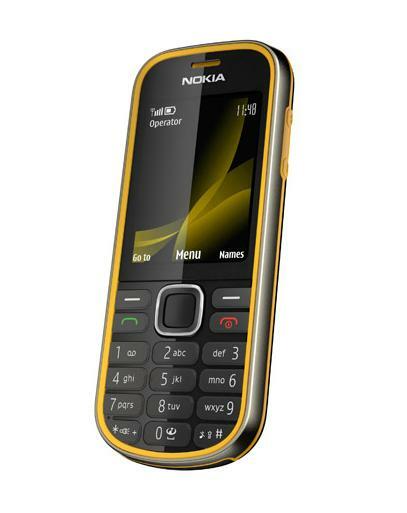 The Nokia 3720 is the “tough” phone for people on the go! It is water and shock proof, which would mean that this robust Nokia device can be "Handled without care!" If you love striding out into the unfriendliest of environments: water, dust, tough ground … you name it, then this Nokia 3720 is for you! It is IP54 certified – dust and water jets resistant. It has a key so that you can use the camera light and convert it to a flashlight for trail running. Want to win a Nokia 3720 phone? Then join the anniversary promo of the Manila Blogs family sponsored by Nokia as it celebrates its 5th Year Anniversary with a bang! A total of 5 Nokia mobile phones will be given away at Nokia and Manila Blogs Family’s “Nokia: My Life” Promo! Contest entries for each site will be tallied and taken separately. This promo is Manila Blogs Family's way of thanking its loyal followers for supporting its sites all throughout their 5 years of existence. So go visit their different sites and cast in your entries! Promo period is from August 16 – September 16, 2010.